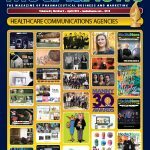 The Committee for Medicinal Products for Human Use of the European Medicines Agency adopted a positive opinion to expand the current indication for Amgen Inc.’s Blincyto (blinatumomab) monotherapy to include adult patients with Philadelphia chromosome negative CD19 positive B-cell precursor acute lymphoblastic leukemia (ALL) in first or second complete remission with minimal residual disease greater than or equal to 0.1 percent. Novartis received European approval for Kymriah, the Swiss drugmaker’s gene-modifying therapy for blood cancer. Fast Company recently published The World’s 50 Most Innovative Companies 2018, topping off its edition of the top 350 most innovative companies. Here is a look at the life science companies that made the list. As part of the company’s fourth-quarter 2017 earnings report, Paris-based Sanofi released a pipeline update showing it plans to halt several mid-stage drug programs. Novartis hired Elizabeth Barrett, Pfizer’s head of oncology, to replace Bruno Strigini, the chief executive officer of Novartis Oncology who retired at the end of 2017. Researchers at Stanford University School of Medicine with the National Cancer Institute have identified another cancer-surface molecule, CD22, and begun trials on B-cell acute lymphoblastic leukemia patients using an immuno-oncology approach similar to CAR-T.
French cell therapy specialist Cellectis, which is developing a gene-modified cancer treatment, was forced to suspend testing following a patient death.